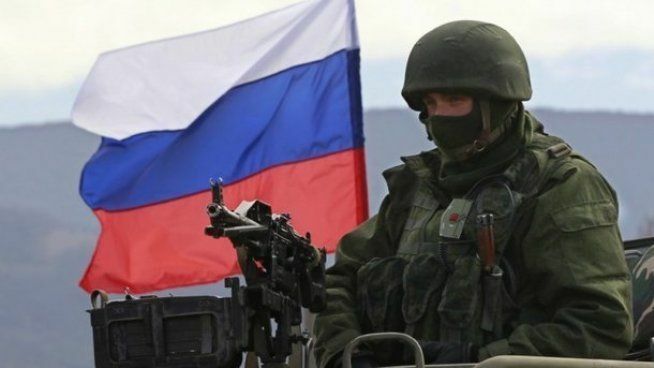 Russia's hybrid military forces attacked Ukrainian army positions in Donbas 24 times over the past 24 hours, according to the press service of the Anti-Terrorist Operation (ATO) Headquarters. Just as in the previous several days, the enemy was most active in the Donetsk sector. In the evening hours and overnight, militants fired heavy machine guns and grenade launchers twice on the Ukrainian positions near the town of Avdiyivka, and the villages of Maiorsk and Opytne. The occupiers also used the same types of weapons near Butivka coal mine. Furthermore, they opened fire from infantry fighting vehicles near the village of Zaitseve. Read alsoATO HQ: First Grad attack on Ukraine amid "school ceasefire" in Donbas (Photos, video)In the Luhansk sector, the Russian occupation forces fired 82mm mortars twice on the defenders of the village of Lobacheve. The Ukrainian fortified positions near the villages of Stanytsia Luhanska, Valuiske and Krymske came under fire from anti-tank grenade launchers and small arms. Read alsoRFE/RL: U.S. military chief says he recommends providing Ukraine with lethal defensive aidIn the Mariupol sector, the Ukrainian positions near the villages of Shyrokyne, Pavlopil and Vodiane were attacked with grenade launchers and heavy machine guns. In addition to this weapon, the enemy also used infantry fighting vehicles near the village of Berezove.